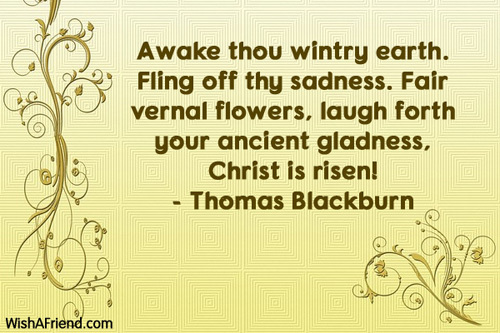 Thomas Blackburn Quote: Awake thou wintry earth. Fling off thy sadness. Fair vernal flowers, laugh forth your ancient gladness, Christ is risen! Awake thou wintry earth. Fling off thy sadness. Fair vernal flowers, laugh forth your ancient gladness, Christ is risen!